I remembered to take pictures of some of the things I wore this week. I was trying to layer as much as possible because the office has been so cold and having layers enables me to adjust to whatever conference room or office I am in. 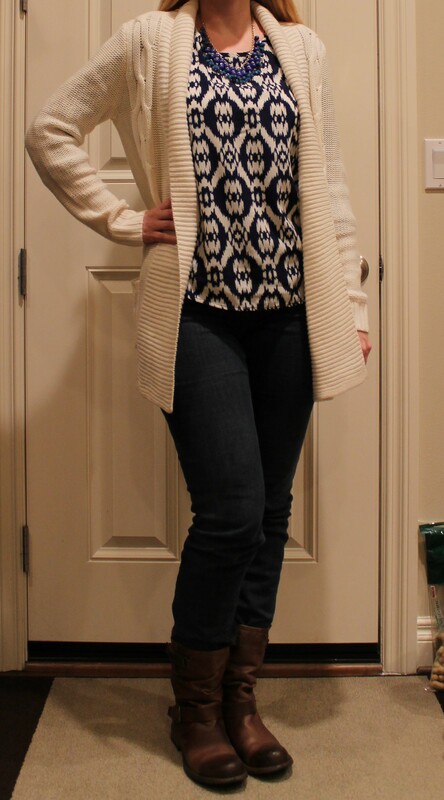 This outfit combined a long cardigan from Target with a blouse from Golden Tote and a necklace from stitch fix. These are my favorite brown boots that I purchased after a trip to Paris where all of the women were wearing boots like this with everything from flowery dresses to skinny jeans and sweaters. They are comfy and roomy and look cute with almost anything I pair them with. 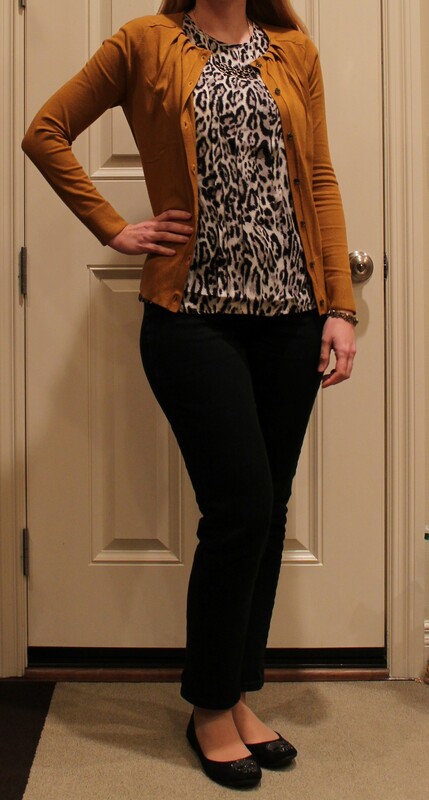 I got this sleeveless blouse from JCPenny from their black Friday cyber sale, and the cardigan is from Ann Taylor Loft. I’m also wearing my favorite skull studded flats which make me happy whenever I see them. On Friday I wore those boots again with a cream colored pull over sweater and a scarf my Mom had given me. 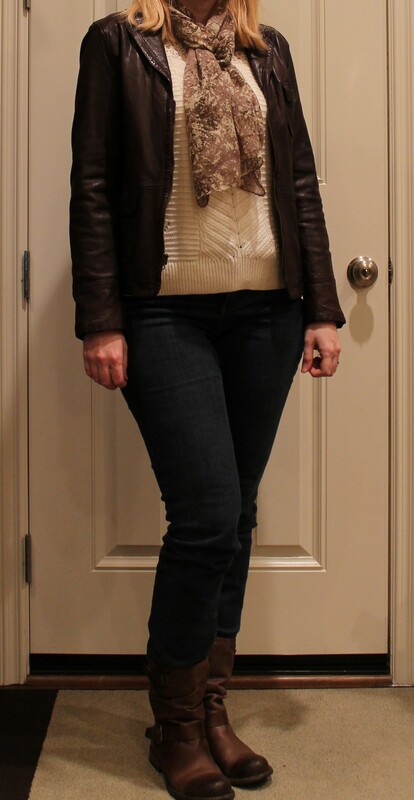 When I was chilly I wore the leather jacket, but for most of the day I was just wearing the sweater.